I really love slice-of-life manga, especially those that tend toward humor and revolve around food. This was such an unexpected delight. I’m currently hopeful about the story arc, but I’ve been burned before, so let’s say I’m being reasonable. 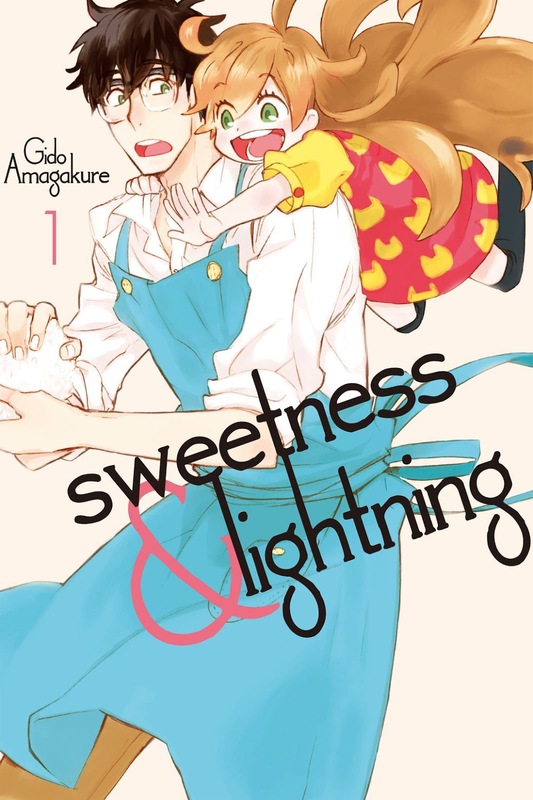 Sweetness & Lightning is a seinen, slice-of-life series about a recently widowed father and his young daughter. In his struggle to feed her well, he meets a student of his at her family's restaurant and they begin an adventure of learning how to cook. It's sweet, having moments of humor and heartache. The picture below features a conversation the junior math teacher has with his student about making breakfast, since they aren't really supposed to meet up outside school, they have this conversation back-to-back by an open window. So much appeals to me about this. Young widower wants to take care of his daughter, and when the opportunity presents itself to eat at a Homestyle restaurant he jumps. 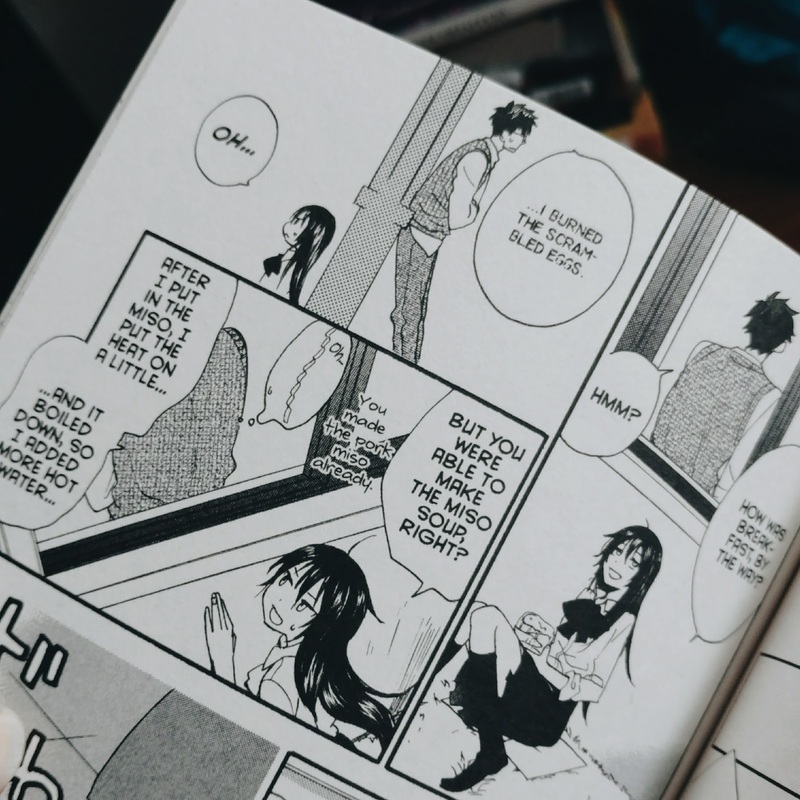 Then it seems he is on the verge of impropriety, spending time with a student, both of them learning how to cook, almost as equals, but he makes a decisions that not only help his daughter, but begins healing himself. We don't really spend time on his grief, but the death of his wife is recent and I think it's already becoming a new normal for him. Her death was probably not sudden, but this first volume doesn’t go into it. 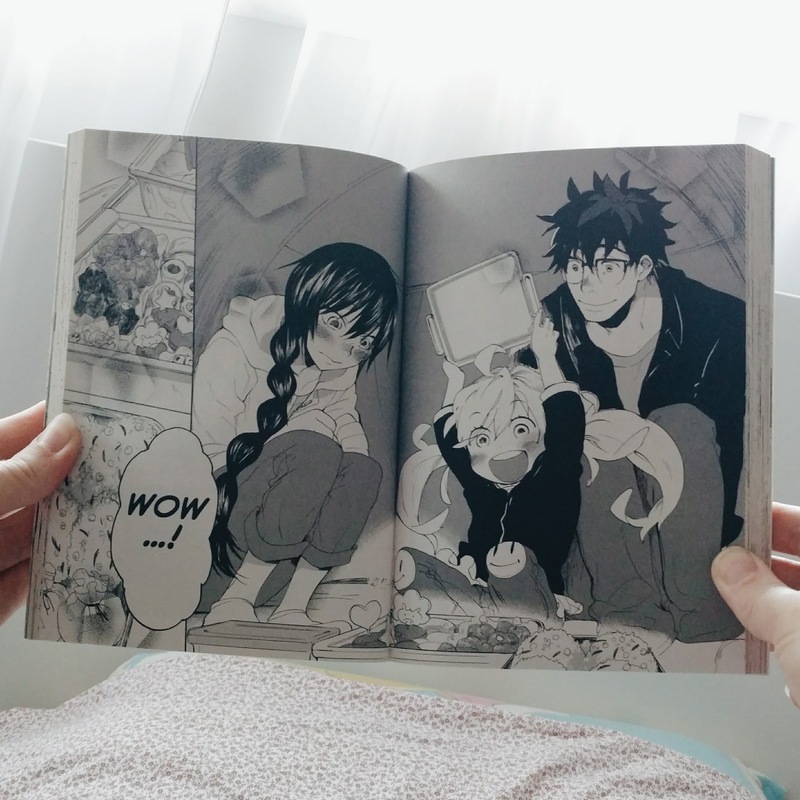 I almost want to be annoyed at the fact that the girl started developing a crush on her teacher halfway through the book, only a few months or a few chapters into their relationship as cooking adepts, but I’m hopeful about how this play out. We’ll see.